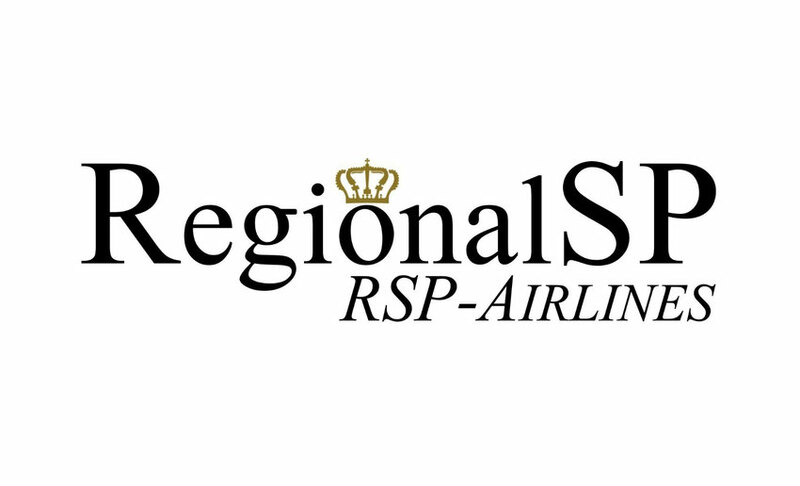 The RSP-Airlines Group's regional airline, RegionalSP, has the finest route network across Europe, as well as across the Hawaiian Islands, with a focus on smaller airports that can not be served by larger aircrafts of the VA-Group. Here, the RegionalSP convinces through its fast turn-around times and perfected efficiency on the ground as well as in the air. Especially on Hawaii, the RegionalSP is unbeatable, as the small regional machines, like their Bombardier CRJ700, are perfect for landing on the small, short and dusty runways. Taxiing from the runway, you are already at the terminal of the regional airports - This makes it especially nice for our pilots and for our passengers to fly for the RegionalSP. In addition, the RegionalSP works as a short-haul airline that flies between international airports as a shuttle to allow passengers to travel quickly and inexpensively. Especially the short flight times make the RegionalSP attractive for our passengers and pilots: The RegionalSP's aircrafts are already landing at their destinations, while the large aircrafts of the RSP-Airlines Group are still in the climb. This thrill, as well as landing on the shortest runways, flying to the most remote places in Europe and Hawaii, cruising between the rugged Hawaiian islands with a fleet of aircrafts that promises elegance and playful ease: This is the RegionalSP. Europe and Hawaii's smaller regional airports are a dream for every pilot! Those who like to land on small and short runways and want to avoid long taxiways, will love flying in the RegionalSP. The regional department is a short- and medium-haul airline. If you have little time for long-haul flights, this is the place for you. The short turn-around times also make it adventurous and exciting. 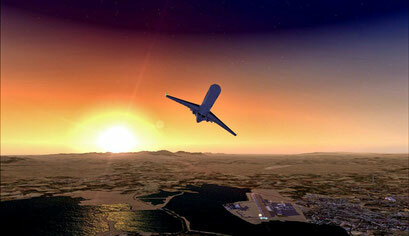 Admittedly, the most exciting thing about flying is the departure and approach. The RegionalSP does not have more than ten hours of pure flying time between departure and landing: It's only a few minutes on the cruise altitude before it the pilots start descending. Our CRJ fleet is an absolute dream: visually a beauty, as well as economical and efficient and easy to fly. In addition, the regional aircraft are very light and equipped with powerful engines, which allows starting on short runways. 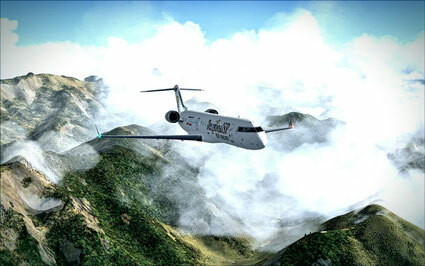 The flight characteristics of the Bombardier CRJ700 are the deciding factors. Rarely has there been such an airplane that is so reliable and first-class in the air. Especially in bad weather, the aircraft never lets the pilot down and brings the passengers safely to their destinations even in the most severe conditions. The group dynamics and the team spirit of the regional pilots to each other makes flying and the time after the flight a pleasure. Working with the economic system and feeling like a real short / mid-haul pilot is a lot of fun and never gets boring. Von unserem HUB München hinaus in die Welt. He is the darling of every RegionalSP pilot! The Bombardier CRJ700. With the founding of the RSP-Airlines Group, it quickly became clear that a regional airline was needed, with smaller, faster and, above all, efficient aircrafts. From October 2016, the RegionalSP started its services and with it the CRJ-Fleet, which has been developed and perfected over the years. In addition to new seating arrangements of the aircraft, corresponding changes were made to the routes in order to make the use of the popular CRJ as efficient and profitable as possible. The CRJ700 convinces above all by its flight characteristics and the simple handling as well as the reliability and cost savings. The RegionalSP's CRJ700s each have two General Electric CF-34-8C1 mounted on the rear of the engines for unmistakable flight characteristics: The CRJ700 has a smoother attitude and is more economical in terms of propulsion. For the CRJ700 a variety of constructive changes had to be made by the manufacturer Bombardier, such as the shape of the winglets and the height of the landing gear. In addition, the cabin floor was lowered slightly, as well as the cabin stretched and the wing increased accordingly. At the wing leading edges slats were attached. As a result, the CRJ700 is able to fly very slowly and land on the shortest paved roads, benefiting the RegionalSP on regional airports in Europe, and especially on the Hawaiian Islands. The top of the wings is flattened in contrast to the conventional curved wings. In addition, the wings are curved at its lower rear side upwards. This novel construction is called "supercritical" construction. Due to this, the air flow over the top of the wing is accelerated less than in the conventional construction. The curved rear lower part of the wing increases the efficiency in terms of lift to a lot. Thus, by the interaction of the flattened wing surface and the curved bottom primarily a slower flying is possible. 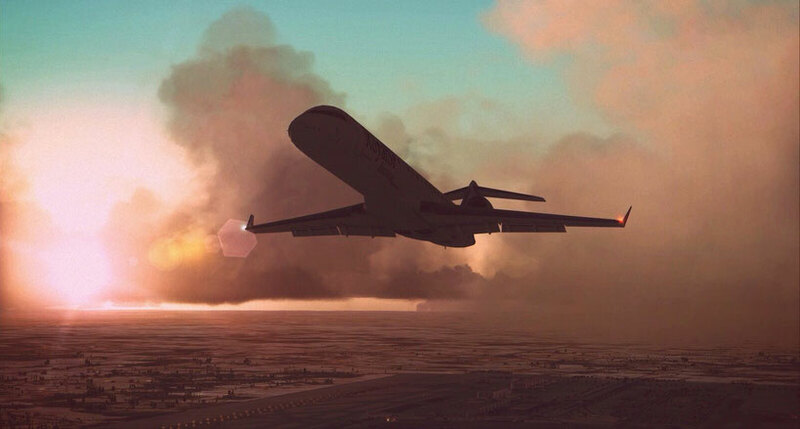 In addition, the construction of the "supercritical" wings allows faster flying, as well as a more efficient and economical flying, as the air resistance is significantly reduced. 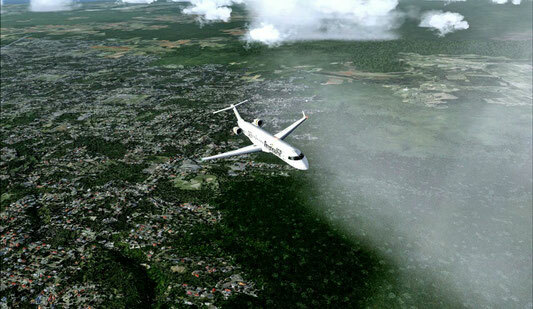 As a result, the CRJ700 pays off as one of the most economical and efficient regional jets in its class and is a real gold treasure for the RegionalSP, who had the regional jet in their hearts from the beginning and continues to hold on to the model. Sonnenaufgang mal anders erleben: Die Piloten der RegionalSP sind rund um die Uhr für unsere Kunden in der Luft und fliegen in die entlegendsten Orte Europas. Europe has always been an important and attractive market for many VA-Group airlines. The HUB of the RegionalSP in Munich, in the center of Europe, makes the many small regional airports for the RegionalSP quickly and easily attainable. The short flight times between the different airports make the business particularly attractive for the RegionalSP, as the short- and medium-haul routes have established themselves over the years and proved to be profitable. Especially as the short turnaround times of just a few minutes make a significant contribution to keeping costs for the regional airline as low as possible. The combination between the long-haul flights of the major airlines of the RSP-Airlines Group and the subsequent onward transport to the smaller destination airports, which the RegionalSP also takes over, convices our customers and closes the circle of an efficient management. Furthermore, the prices for the passengers can be kept low, which makes travelling with the RSP-Airlines Group more attractive. The RegionalSP has made a holiday paradise to its second HUB: The deployment of its CRJ-Fleet in Kailua-Kona, Hawaii, has proven to be extremely profitable and worthwhil as the regional airline, which flies a route network all over Hawaii, takes passengers from RSP's long-haul flights to Honolulu and carries them safely to their respective destinations, which are scattered all over the small islands. Flying over the rugged coasts of volcanic islands, landing and departing on small and extremely short runways makes flying across Hawaii a true adventure for the RegionalSP. The pilots stationed there are trained accordingly to these procedures and love to fly to the local airports, which are usually no larger than a few football fields. However, with the CRJ, the RegionalSP is perfectly equipped to fly to these airports and ensure regular operations at these airports, as the market there is not as large as in Europe. The RegionalSP thus closes an important gap in a market segment that could only be properly expanded in Hawaii.